OK, so I missed the deadline for finishing these birthday posts (today), but I'm gonna keep going because they make me laugh. This year is about when I start to actually remember my birthday, so here's a story. 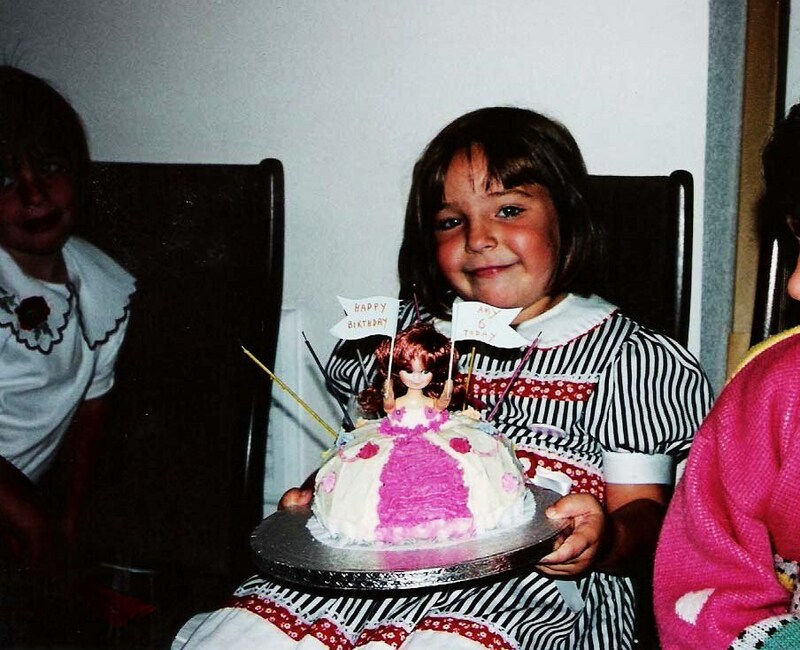 Every year I had a birthday party, and every year I knew that in the preceding days to said party, there was a cake somewhere in the house. And, I wanted to find that cake. I'd never managed to find one before this year. 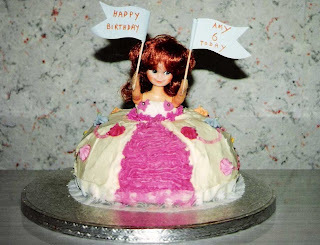 But, somehow, the day before my 6th birthday, I opened a cupboard door and spied this cake! Of course, it so wasn't worth it, because then you miss that element of excitement of seeing it at the party. But then again, I was 6, so long-term thinking was not my strong suit. Anyway, I'll keep doing these birthday posts even though it will be past my birthday, so come back tomorrow for age 7: no cake, but a story! I might find some pics to go along with it. See ya then!